Mainelli Tool & Die is a family owned and operated manufacturing company that has been serving the Jewelry Industry since 1967. All manufacturing is done at our 12,000 square foot plant located in Providence, Rhode Island, USA. We can accommodate small and large-run orders. Mainelli Tool knows how crucial it is for you to receive your products on time and proudly deliver on-time without sacrificing great quality. our product diversity and manufacturing capabilities. Visit our Specials page; it is updated monthly with new products and close-out goods specially priced. 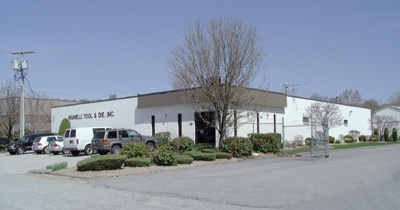 Mainelli Tool & Die, Inc.